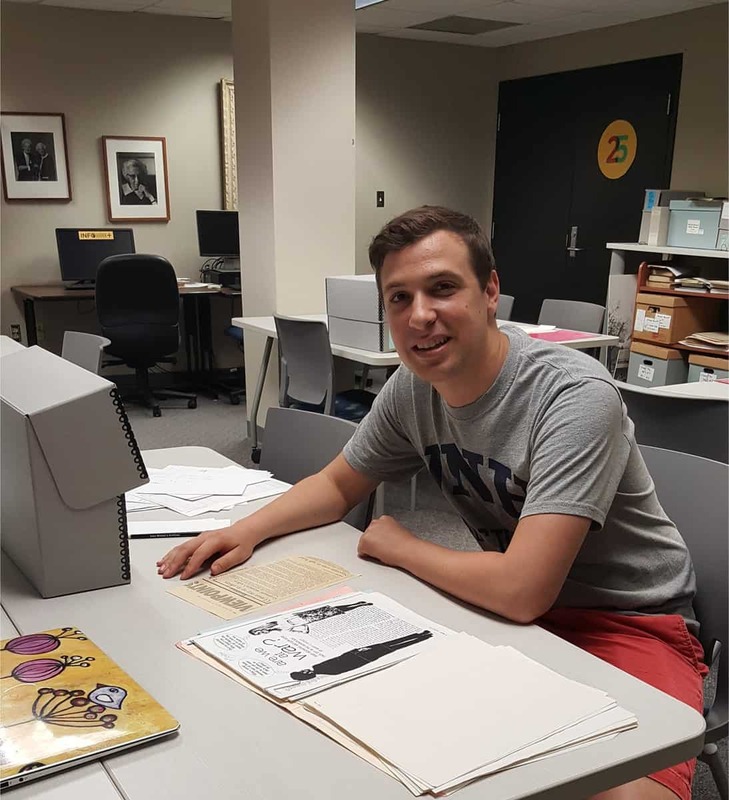 Our 2018 Linda and Richard Kerber Fund travel grant recipient is Ezra Temko, a Sociology PhD candidate at the University of New Hampshire (UNH). The Linda and Richard Kerber Fund was established to help researchers travel to the Iowa Women’s Archives. 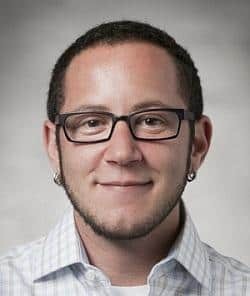 Temko has come to Iowa City from the state of Delaware, where his research investigates how cultural power and ideology are navigated around issues of racial and gender representation. Temko became interested in Iowa after learning that in 2009, it became the only state in the U.S. to require gender balance for state and local boards and commissions. After interviewing proponents of the 2009 law, he discovered its roots went back to 1986, when a law requiring gender balance on only state boards and commissions was first passed. Temko hoped that the papers available at the Iowa Women’s Archives would provide context for the 1986 law and the efforts to extend it. 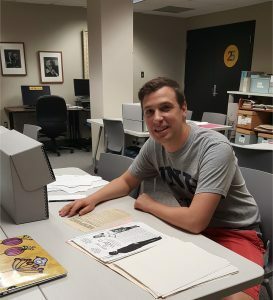 For the past week he has accessed a wealth of useful materials in the Iowa Women’s Political Caucus records, the Minnette Doderer papers, the Johnie Hammond papers, and Governor Ray’s Commission on the Status of Women records to name just a few collections. After four days in IWA, Temko says the highlights of his research include reading constituent letters to Iowa politicians and learning more about ERA campaigns in the state. Most of all, he’s enjoyed learning about about the feminist victories of the 1970s and 1980s that we take for granted today such as the right of a married woman to have her name in the phone book without paying for it, or women’s ability to change their names after divorcing. Iowa, he says, is unique, but through his research he’s seeing connections to the feminism of the 1970s and 1980s everywhere. We can’t wait to see the results of his work! This post is a part of the Iowa Women’s Archives’ 25th anniversary celebration and exhibition: 25 Collections for 25 Years: Selections from the Iowa Women’s Archives on display until December 29th at the Main Library Gallery. Gallery hours are available on the Main Library website. For more information about events, see our 25th anniversary website. 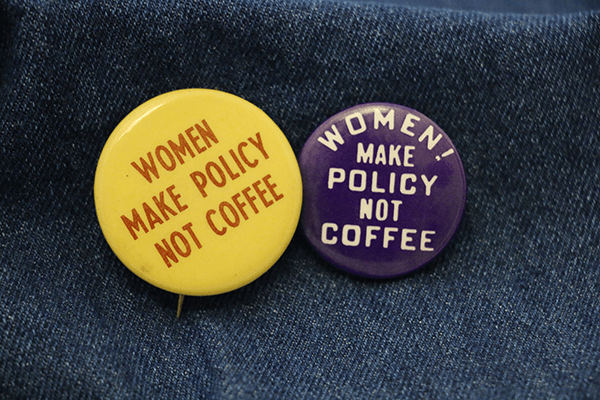 The Iowa Women’s Archives features several collections related Iowa’s rejected 1980 Equal Rights Amendment (ERA), which was the first state ERA initiative after the passage of the national ERA in 1972. These include the Iowa ERA Coalition papers, and the Iowa Women Against the ERA papers. Both collections were of use to Celeste Campos-Castillo, Assistant Professor at UW-Milwaukee, and stef shuster, Assistant Professor at Appalachian State University, when they were grad students at he University of Iowa and researching social movement activists. Exciting discoveries were made in the research process, which shuster explains. resonates with their audience (called frame resonance) to enable a higher chance of success, we found contradictory evidence to this longstanding theory. In analyzing the archival material from the IWA, we found that movement activists might consider pitching their issues in a way that creates dissonance in their audience to improve the chances of mobilization (e.g. like voting for the ERA). These ideas were published in the March 2017 issue of the Social Psychology Quarterly. We intend to turn our attention next to how issues can be framed in a way that compels certain emotions, and which emotions might be most effective for mobilizing people. Some of the artifacts that we would like to incorporate are the cartoons from both pro- and anti-ERA organizations. 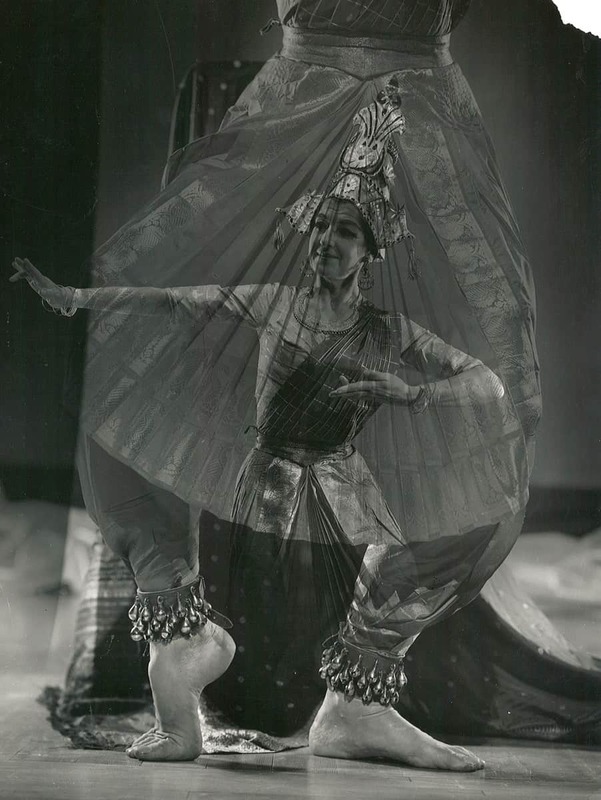 “Diversity in Dance.” This was the motto of Edna Dieman and Julia Bennett when they founded the Dieman-Bennett Dance Theatre of the Hemispheres in 1951. The Cedar Rapids dance school operated until 1997, with classes in classical ballet, as well as dance styles from Spain and India. Miss. Dieman and Miss. Bennett, as they preferred to be called, donated the records to the Iowa Women’s Archives in 1996 and later years. Since then the photographs of dances, choreography notes, costume designs, and scrapbooks documenting Dieman’s and Bennett’s international training among many other items have been used by students and researchers alike. 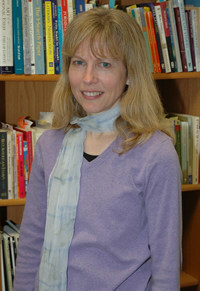 Jane Nesmith, an assistant professor of rhetoric and director of the writing center at Coe College in Cedar Rapids. She explains her interest in the Dieman-Bennett Dance Theatre of the Hemispheres. have even connected me with others who are interested in the Dieman-Bennett papers. I don’t know what I’d do without this resource that preserves and shares materials important to the story of these two important women. Dance Theater of the Hemispheres and related school. 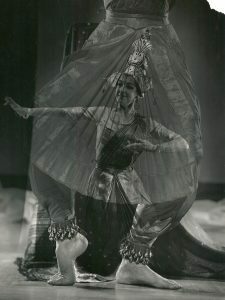 My students have thrilled at the opportunity to study Dieman and Bennett, poring through their records, especially diaries and Bennett’s unpublished autobiography “A Chest of Jewels.” They have taken the initiative to design and build a website to document their research, and to provide a lens onto the legacy of international dance performance in our region. We have all also appreciated the chance to view related videotapes, which are unique among repositories across the U.S. in demonstrating the educational lecture-demonstration format preferred by Dieman and Bennett as an approach to community engagement and education. 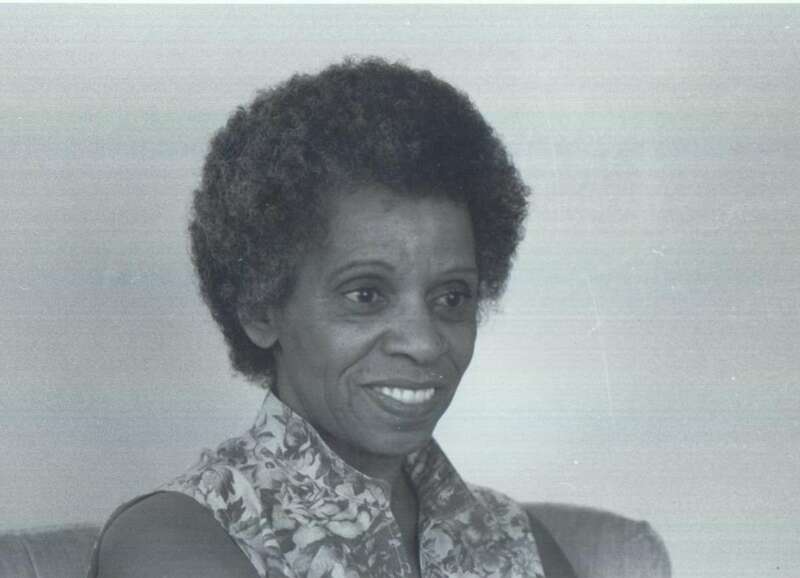 Edna Griffin’s civil rights activism earned her the title of the “Rosa Parks of Iowa.” Griffin moved to Des Moines with her husband and children in 1947 and by 1948 she was agitating for change. She led a campaign to desegregate the lunch counter at the local Katz Drug Store, organizing picket lines, and filing charges against its owner, Maurice Katz. Her suit went to the Iowa Supreme Court where Katz was declared guilty of violating the 1884 Iowa Civil Rights Act in 1949.
and farm women’s activism during the 1980 farm crisis. The archives has rich records of diverse individual women and also women’s organizations. One example that leaps to mind is the collection of Edna Griffin (1909-2000), an African American who successfully campaigned to desegregate the Katz Drug Store in Des Moines in the late 1940s; one undergraduate from Des Moines wrote an excellent paper explaining the origins and significance of Griffin’s campaign, which preceded the more famous Montgomery, Alabama Bus Boycott. 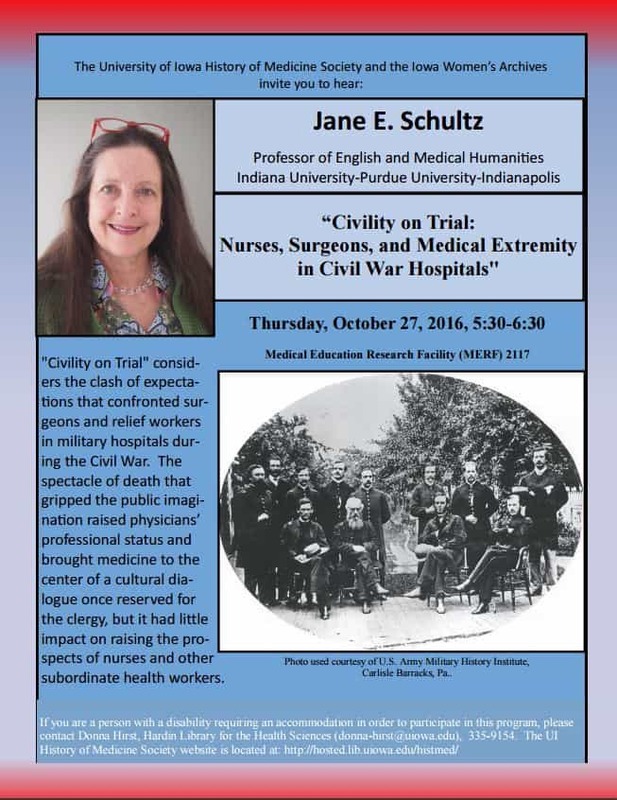 This is just one example–if time permitted, I’d also discuss Emma Goldman Clinic records, the collections of several Iowa League of Women Voters chapters, and the feminist periodical of the 1970s, Ain’t I a Woman–all these have fascinated the diverse male and female undergrads who learn to find and interpret historical evidence using these locally resonant papers. 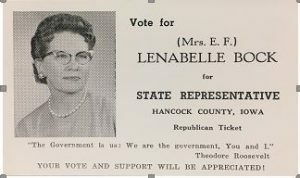 Lenabelle Bock was elected to the Iowa House of Representatives in 1960. The Lenabelle Bock papers, housed at the Iowa Women’s Archives consist of three scrapbooks covering Bock’s legislative career from 1961-1964. 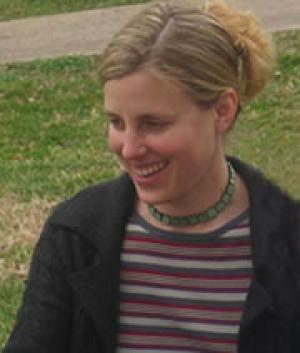 Danielle Hoskins is a current American History graduate student at the University of Iowa. scrapbook of Lenabelle Bock, who served the Iowa House of Representatives from 1961-1965. 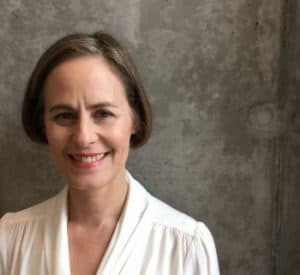 What struck me most about the Lenabelle Bock scrapbook was its compilation – I saw her constructing a narrative about her political career not just in what she chose to keep and collect in the pages of a scrapbook, but in how she decided to compile it. For example, Bock placed a newspaper article listing her as a candidate at a Republican rally opposite a page describing her as “our state representative” at the same rally the next year, despite the majority of the scrapbook running month-to-month chronologically. She was making a conscious connection between the two events, as if to say that she made good on her candidacy. 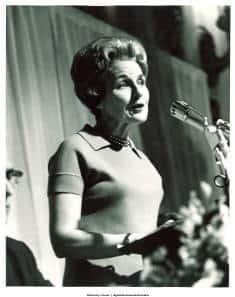 Smith speaking at Republican Women’s Conference, 1968. Today, at the Iowa Women’s Archives commemorate one of our founders, Mary Louise Smith! Smith was born Mary Louise Epperson on October 6th, 1914 in Eddyville, Iowa. She became involved with the Republican Party in the 1950s and quickly rose through the ranks. In 1974, just after Watergate, she was appointed as the first woman to lead the Republican National Committee. Among her many accomplishments, we’re most grateful for Smith’s part in establishing the Iowa Women’s Archives. Her papers, documenting a long political career, were among the first on IWA’s shelves. 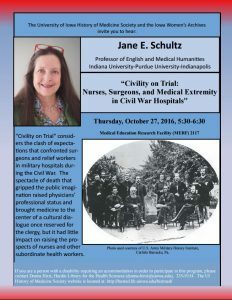 The Mary Louise Smith papers and the Iowa Women’s Archives changed my life!—or at least they changed my career. particularly fascinated by her self-identification as a Republican feminist. 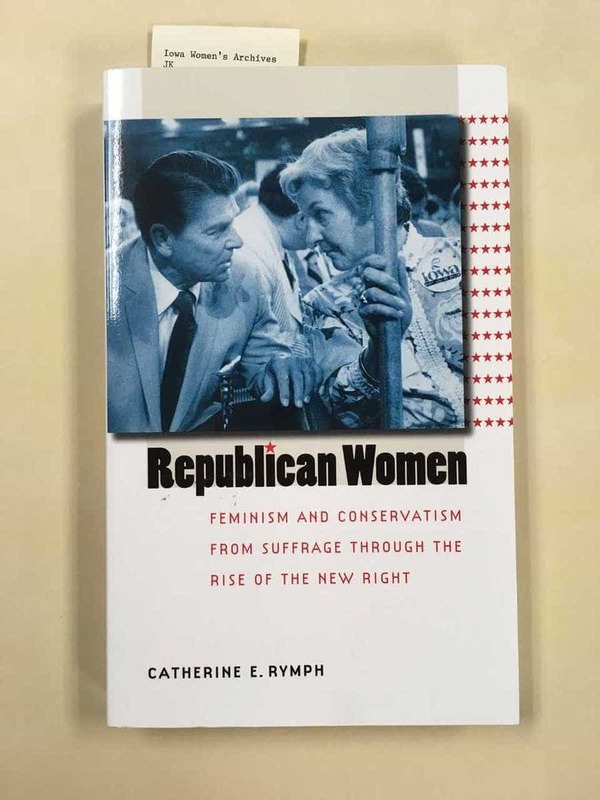 So fascinated, in fact, that I switched my Ph.D. research focus from the 19th to 20th centuries and wrote a dissertation on women in the Republican Party. 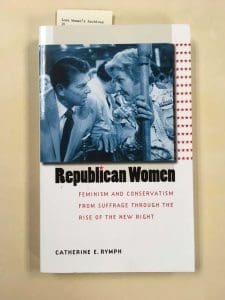 I later published Republican Women: Feminism and Conservatism from Suffrage through the Rise of the New Right (University of North Carolina Press, 2006), which was the basis of my early career as a historian. Although I visited a number of other archives for my research, I never would have landed on the topic at all without that formative experience in Smith’s papers. This post is a part of the Iowa Women’s Archives’ 25th anniversary exhibit: 25 Collections for 25 Years: Selections from the Iowa Women’s Archives on display until December 29th at the Main Library Gallery. Gallery hours are available on the Main Library website. “One of my favorite collections at the IWA is the Ruth Salzmann Becker papers. Ruth was born in Berlin to a Jewish Socialist family; both of her parents were medical professionals. With the rise of Nazism, the family fled, though they couldn’t all get visas together. Ruth went to England, and her parents and younger sister Eva sailed to Cuba. In 1940 they regrouped in New York, where Ruth got a degree in nursing. Somewhere along the line she met Samuel Becker, who later founded Communication Studies at UI. They married, settled in Iowa City, and raised three children. Ruth became an activist for disabled children, racial justice, and feminist causes. Just two of the many political buttons in the Ruth Salzmann Becker papers. Dr. Annessa Babic, coordinator of interdisciplinary studies at the New York Institute of Technology and Dr. Tanfer Tunç of Hacettepe University in Ankara, Turkey are the most recent recipients of a research grant from the Linda and Richard Kerber Fund for Research in the Iowa Women’s Archives, a grant that helps researchers travel to the Iowa Women’s Archives. Collaborators since 2008, Tunç and Babic met in graduate school at SUNY Stony Brook where each produced feminist scholarship. In 2008, the pair co-edited The Globetrotting Shopaholic: Consumer Products, Spaces, and Their Cultural Places. Since then they have continued to produce articles together and apart examining consumerism, nationalism, and Wonder Woman, among other subjects. Although the two collaborators had planned to travel to Iowa City together, the political unrest in Turkey stifled Tunç’s plans at the last minute. Nevertheless, Dr. Babic had a fruitful week in the archives hunting for places where feminism and food activism collide. 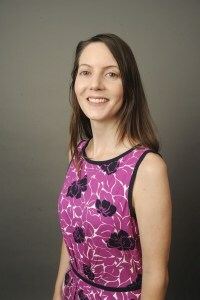 Tunç and Babic’s current project will extend “common discussions concerning food waste, overabundance, and safety by connecting food activism to consumer activism and social and civil rights, particularly the environmental and women’s movements.” Babic believes that movements surrounding food safety and packaging are gendered due to the heavy marketing of food products to women. She and Tunç hope to explore the parallels they see between the environmental and women’s movements of the late twentieth century. Although this project is in its early stages, Babic and Tunç expect that it will result in an article that will put food activism in the cultural context of the United States from 1970 – 1990. 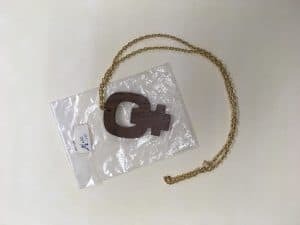 The duo were drawn to the Iowa Women’s Archives by its diverse holdings about grassroots movements as well as its collections of oral histories. Additionally, they were interested in exploring resources of the Midwest, a region less studied than the American coasts. 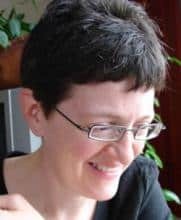 Babic, who is also a travel writer, confessed that she had never been to Iowa before, and expects to produce work about the trip itself as well as the resources she found in the archives. While here, Babic looked at the papers of farm activists such as Denise O’Brien, Carol Hodne, Ericka Peterson-Dana, and Janette Ryan-Busch, as well as the records of food activist organizations like the Mothers for Natural Law and the Women, Food and Agriculture Network. What was her favorite collection? 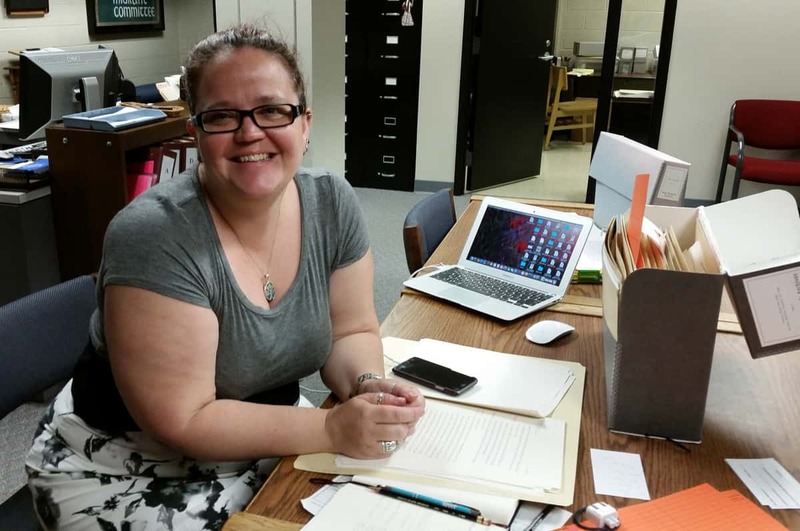 With three days of research behind her, Babic said she most enjoyed reading oral histories from Voices From the Land, a collection produced as part of the Iowa Women’s Archives’ Rural Women’s Project. It includes intrviews with rural women who were politically active in the 1980s farm crisis. Babic said she found the farm women’s take on that era interesting and refreshing. We look forward to finding both qualities in the future work of Tunç and Babic.